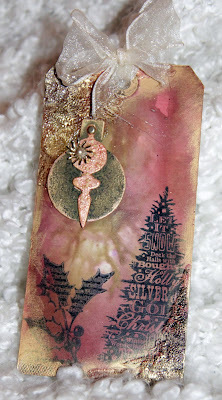 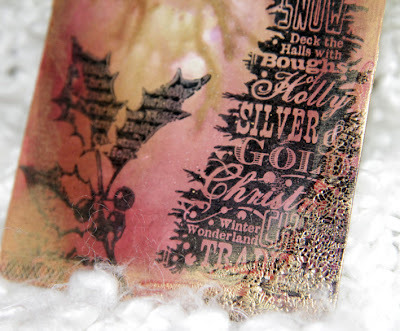 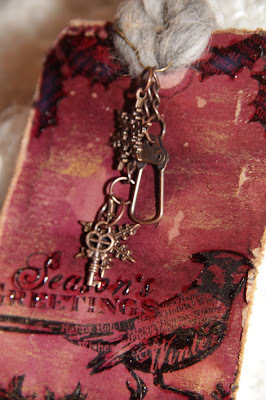 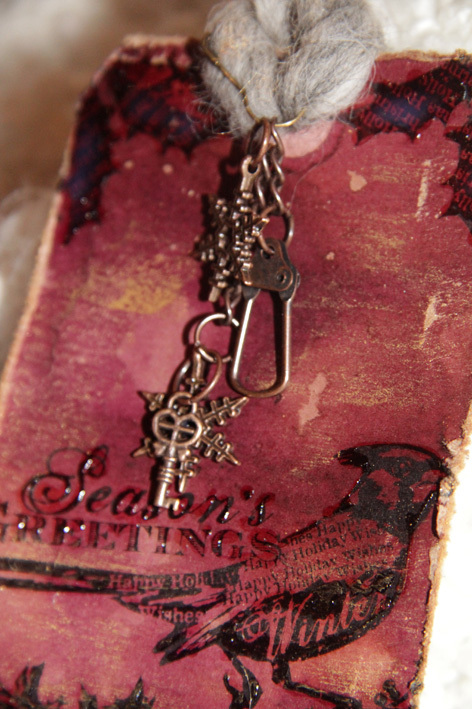 My Christmas tags that was presented in the StampARTic article yesterday. I have used to different techniques on these tags, but from the same manifacture - Distress inks from Tim Holtz & Ranger. Christmas tag no. 1 is made with Distress Stains and water, additional to metallic rub-ons and Glossy Accent. 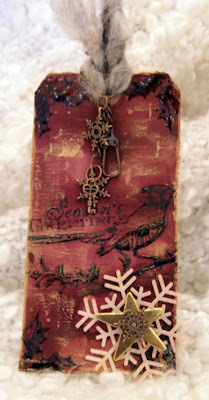 And, on Christmas tag no. 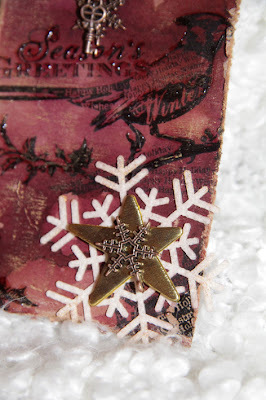 2 I have used ink pads and water on a none-stick mat, additional to Rock Candy Crackle paint and gold rub-ons. 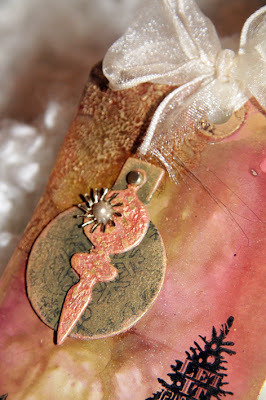 Both tags has stamps from Inkadinkado, that comes in double pack and are awesome! 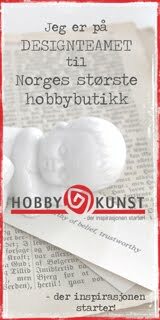 I bought them at HOBBYKUNST, and you can find them here! 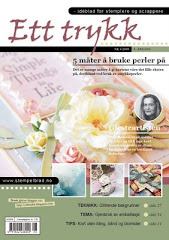 Disse tagene er så stilige og inspirerende. 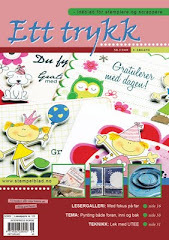 Tror jeg må lage noe slikt igjen, er så gøy å forsøke litt forskjellig.